Welcome to Lake Cora in Paw Paw Michigan. 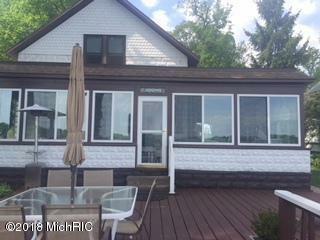 This charming home with 4 bedrooms and 2 baths is on the south side of Lake Cora. Lake Cora is on 196 acres of spring fed water. 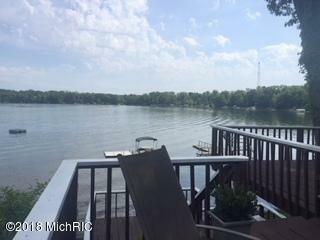 The property had 45.5 ft of lake front with a dock that is included. 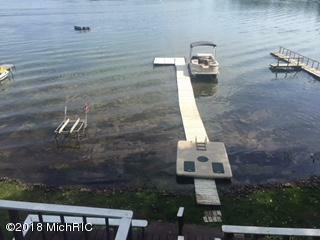 Pure Michigan fun can be had on this all sport low traffic lake. Sit on the lakeside deck for your peaceful serene surroundings. Enjoy the 3 season room across the entire lakeside of the house.The home has gas forced AC and Heat along with a washer and dryer. Lots of lake stories can be shared around the large dining table adjacent to the kitchen. Cold nights with the gas fireplace in the living room and a good book is always an inviting location. Plenty of parking, 2 car garage can handle family and guest. Call Today, don't miss this one.